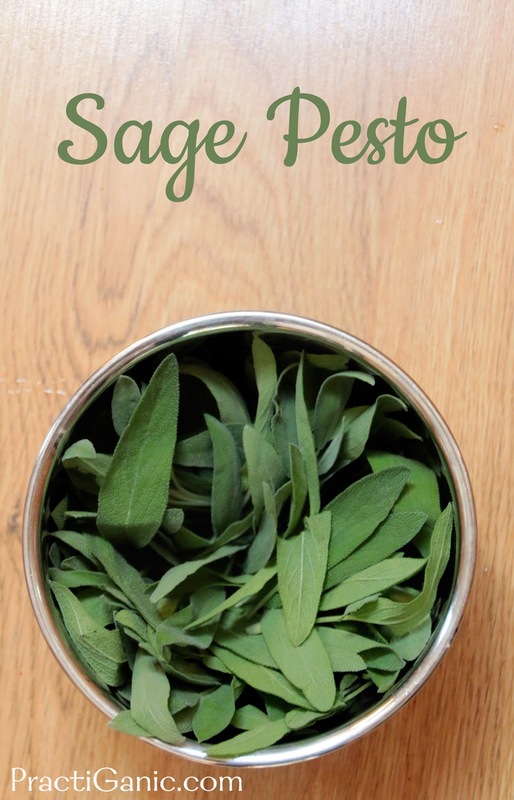 Sage is an herb that I love but I don't have many uses for until Thanksgiving rolls around. Besides making sage smudge stick ... how much sage can one really consume? This year, my sage is absolutely crazy! I planted regular sage this year, usually I do purple or golden sage and the plants grow well but not as huge as this year. I don't know if it was the weather conditions or if it's just this type of sage that loves my garden. Regardless, I'm not complaining. 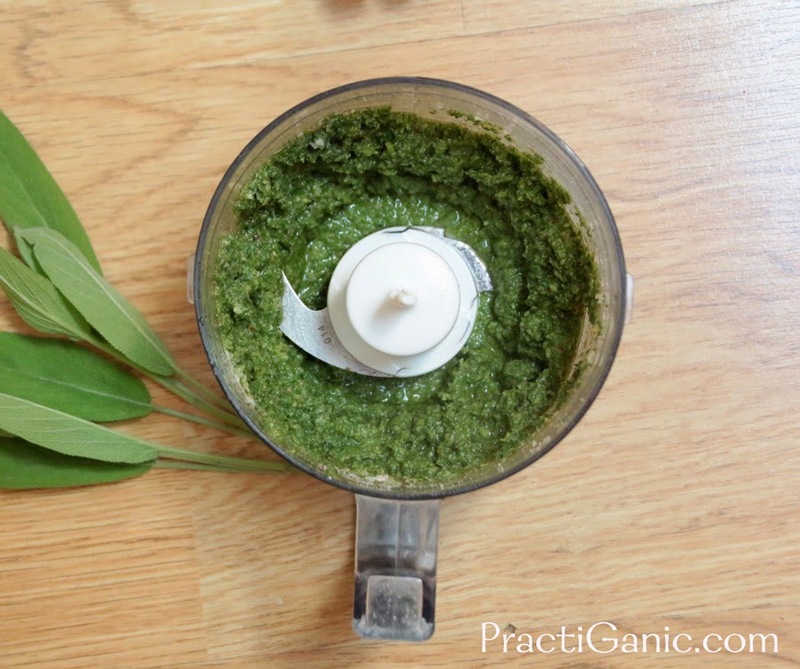 I was staring it down as I was picking my basil for pesto last week when it dawned on me to try a sage pesto. It is fall and with squash and sweet potatoes making it through the kitchen right now, I figured it was worth a try. Did it work? Let's just say in the past 5 days I have made it 3 times! It's my new fall favorite! 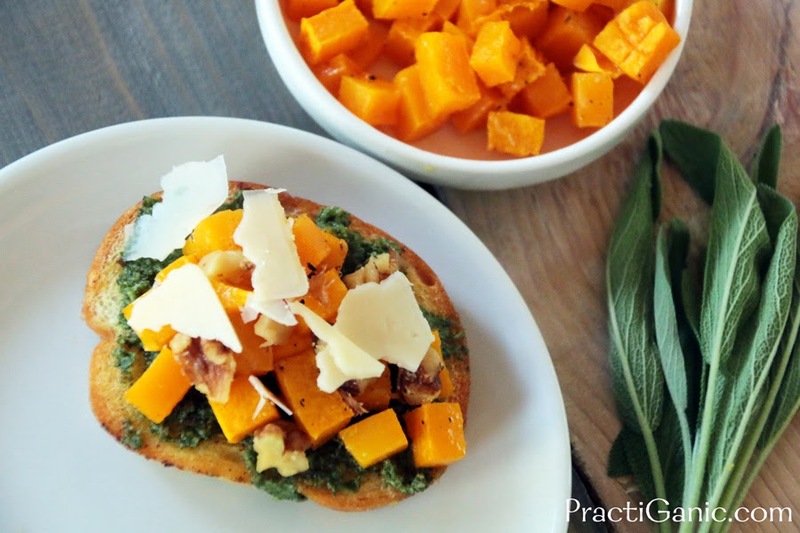 I've used it on Sweet Potato Stuffed Shells, Squash and Walnut Bruschetta and I can't wait to try it drizzled on my sister-in-laws squash soup that she makes for Thanksgiving. Savina won't stop eating it with a spoon ... 20 months and I have sage pesto addict on my hands. Now I'm looking at my massive sage plant wishing it were bigger because I just have enough to get me though the season and I won't be able to save it and freeze it for the winter! *to make vegan use 1/3 c roasted cashews in place of walnuts and parmesan cheese.